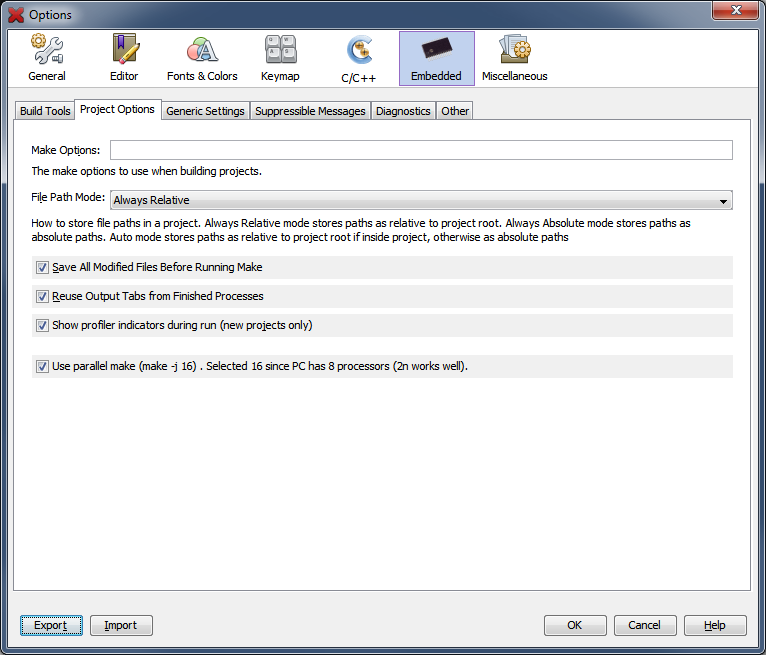 The Project Options tab of the Embedded category contains settings for the make program that directs the entire process of building a project. It also provides a means of selecting the default file path storage method. Text string options for the compiler Make process are set here. Sets how to store file paths in a project. Always Relative stores paths as relative to project root. Always Absolute stores paths as absolute paths.